In this entry, I discuss a recent publication by Mai Nguyen-Huynh and colleagues regarding the results of implementation of a novel telestroke program on administration of intravenous alteplase and door-to-needle (DTN) times. The ability to reduce DTN times and increase administration of alteplase to eligible ischemic stroke patients is extremely clinically relevant given the established relationship between earlier treatment and likelihood of a good outcome. For this reason, there is much interest in identifying approaches that expedite the ED triage of potential acute ischemic stroke patients. In this article, the authors performed a retrospective analysis of various acute stroke quality measures before and after the combined implementation of a modified Helsinki model with a centralized telestroke program in 21 primary stroke centers across Northern California. The introduction of endovascular thrombectomy (EVT) has revolutionized acute treatment of stroke due to a large vessel occlusion (LVO). However, patients who present after 6 hours from stroke onset (defined by previous EVT trials; 7.3 hours based on a recent meta-analysis) are not eligible for either IV thrombolysis or EVT. Salvageable brain tissue that can be saved by cerebral reperfusion may exist well beyond this treatment window. Enrolled patients had good pre-stroke baseline defined as modified Rankin scale, mRS, 0 to 1. Infarct volume was assessed on diffusion-weighted imaging (DWI) sequence of brain MRI or perfusion CT scan using the automated RAPID software. Some argue that optimizing stroke systems of care may yield more public health gains than scientific advances. This notion does not apply exclusively to acute stroke care. Roughly 20% of strokes in the United States are recurrent; efforts to improve secondary prevention are invaluable. To this end, Bravata and colleagues sought to compare hypertension, hyperlipidemia, and diabetes treatment success at 1 year after stroke and myocardial infarction (MI) in the Veterans Health Administration (VA) system. Patients with transient ischemic attack (TIA) were included in secondary analyses. Endovascular Therapy Following Imaging Evaluation for Ischemic Stroke 3 (DEFUSE 3) is a prospective, randomized, open-label trial with blinded outcome assessment (PROBE) comparing conventional treatment (standard medical therapy) to thrombectomy plus standard medical therapy in patients with proximal middle-cerebral-artery or internal-carotid-artery occlusion, baseline infarct size of less than 70 ml and a ratio of ischemic tissue to infarct volume more than 1.8, presenting 6 to 16 hours after they were last known to be well. The trial was prematurely terminated for efficacy after recruitment of less than half of the initially estimated sample size. The past few years have seen radical changes in stroke care, development of mechanical thrombectomy as standard of care and, more recently, extension of the time limit to 24 hours in the setting of the DAWN trial. With these changes, exploration of neuroprotective agents is the need of the hour, with an aim to extend the potential window for thrombolytic therapy. Neuroprotection trials, unfortunately, have a dismal history. Reasons attributed to that may be wrong timing or monotherapy trials. Additionally, designing these trials has been difficult because of difficulty with designing animal models that exactly replicate the stroke penumbra. 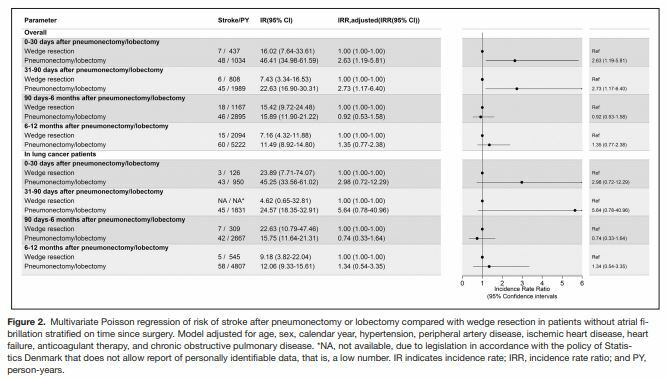 TIAs are associated with an increased risk of debilitating recurrent stroke along with increased risk for cardiovascular morbidity and mortality. Several studies have demonstrated poor agreement regarding TIA diagnosis among Emergency Department (ED) physicians, neurologists, and even stroke specialists. Although many biomarkers for TIA diagnosis are promising, none has been proven to be sufficiently reliable for diagnosis of TIA. Substantial international variation exists in clinical practice and policies for hospital admission for patients with TIA. International guidelines also differ in their recommendations for brain and vascular imaging after TIA, with imaging either immediately or several days after symptom onset, and brain imaging by either CT or MRI recommended. It has been reported that CTP shows focal perfusion deficits in up to a third of suspected patients with TIA and could also predict functional outcome at 3 months. It has been shown that limiting urgent assessment to patients with a score of 4 or more on ABCD2 would miss approximately 20% of those with early recurrent strokes. There appears to be a need for more research focus on dynamic imaging modalities like CTP or MRP, in addition to clinical information for better diagnosis and management of TIA. Statins are some of the most commonly prescribed drugs in the fields of cardio- and cerebrovascular disease. In the last two decades, randomized controlled trials have shown that statin therapy reduces the risk of major vascular events in high-risk populations. Definitions of these populations have changed over the years, but currently the AHA/ASA stroke guidelines recommend statins in all patients for secondary stroke prevention. Despite the ubiquitous usage of statins, it has been noted that some data (from the Heart Protection Study (HPS) and the Stroke Prevention with Aggressive Reductions of Cholesterol Levels (SPARCL)) suggests that the benefits of high-dose atorvastatin treatment was partially offset by an increase in hemorrhagic stroke. The association of statins and intracerebral hemorrhage (ICH) has remained controversial ever since. Subsequent meta-analyses and case control studies — some of which included data from SPARCL — found no associated increase in the risk of ICH in patients on statin therapy. A conversation with Dr. Greg Albers, professor of neurology at Stanford and the principal investigator for DEFUSE 3. Interviewed by Dr. Kaustubh Limaye, assistant professor of neurology in the division of cerebrovascular diseases at the University of Iowa, at the International Stroke Conference 2018 following the presentation of the final results of DEFUSE 3 and a simultaneous publication in the New England Journal of Medicine. Dr. Limaye: Dr. Albers, first accept my hearty congratulations on the phenomenal success of the DEFUSE 3 trial. Dr. Albers: Thank you so much. Dr. Limaye: Just like everybody else, I was patiently waiting to hear what the results were going to be. All of us are delighted looking at the strong treatment effect that DEFUSE 3 showed in this extended time window. Thanks again for taking time out from your busy schedule. I’m sure this conference was extremely busy for you. Dr. Albers: It’s been a very exciting week. We’ve been anticipating this for some time, and it’s wonderful to see this come to fruition. This year’s International Stroke Conference revealed big advances and changes to the acute ischemic stroke guidelines. I had a great time at the Los Angeles Convention Center and learned a lot, as new exciting trials revolutionized the acute ischemic stroke treatment landscape, most notably tripling the reperfusion time windows. As with every conference, there were tons of different lectures and abstracts to go to, but I’ll highlight what I found the most interesting, and key take-home points from the conference. Vasospasm and delayed cerebral ischemia (DCI) following subarachnoid hemorrhage (SAH) are a major cause of morbidity and mortality. The only proven medication to improve outcomes after SAH is nimodipine. Cilostazol is a phosphodiesterase III inhibitor that has been shown to decrease vasospasm and DCI in animal studies, as well as in small clinical series. 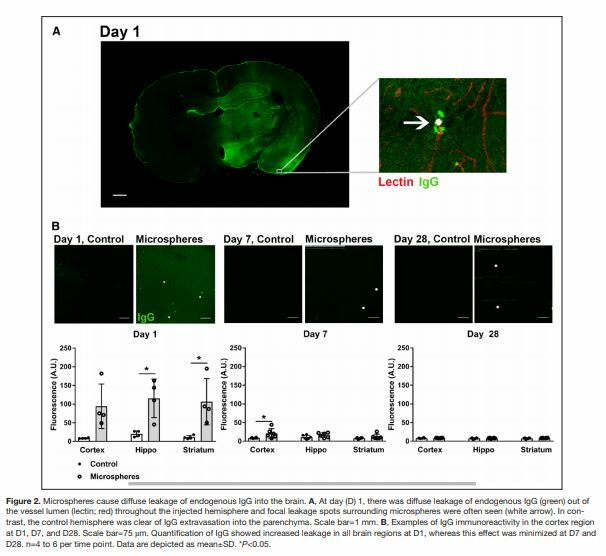 The proposed mechanisms include increase in endothelial release of nitric oxide (NO) and inhibition of platelet derived growth factor (PDGF), vascular smooth muscle proliferation, and expression of adhesion molecules on endothelium. Dr. Muhammad F. Ishfaq presented the results of a meta-analysis of previous studies on the effects of cilostazol on vasospasm and DCI. A total of 6 studies were included in the meta-analysis after reviewing 33 studies (three studies were randomized clinical trials). The primary end-point was incidence of DCI secondary to vasospasm. Secondary end-points included: angiographic vasospasm, new stroke, mortality, and major disability (defined as modified Rankin scale 4-6 at discharge and follow-up exams).